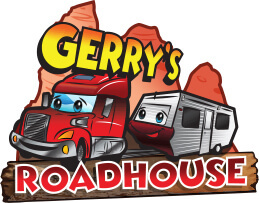 Climb aboard, this convoy of big-rig trucks is about to leave Gerry’s Roadhouse. Get behind the steering wheel and sound your horn to let everyone know you’re coming as you drive round the circuit. It’s four-wheel fun for tiny truckers!